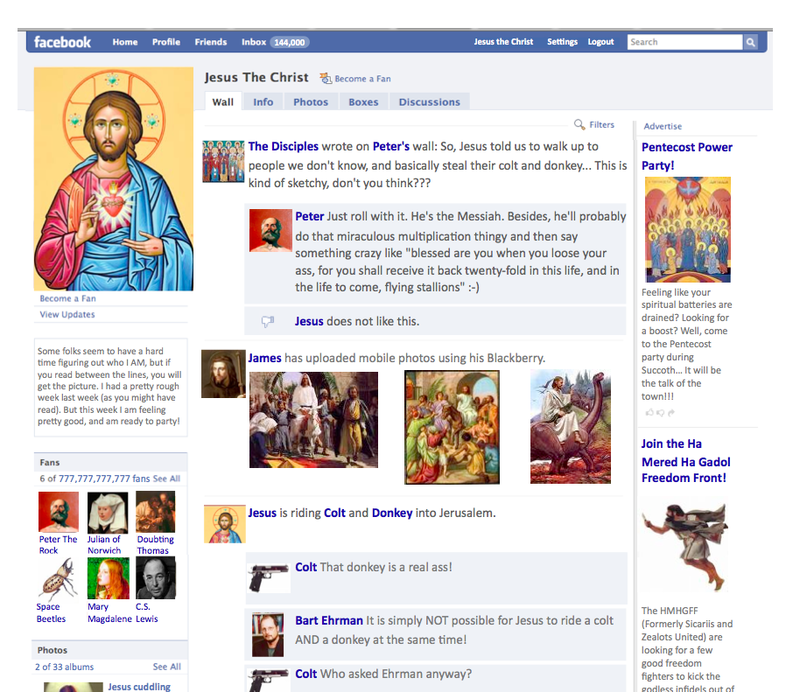 If Jesus had a Facebook page, what would it look like on the Holy Week leading up to Easter morning? You no longer have to wonder. Click here to check out the whole thing. Pretty funny, and pretty accurate, too. You might even learn a thing or two reading it. Thanks to Chris Gott for turning me on to that.